Cannabidiol is a safe, non-intoxicating, and non-addictive cannabis compound with significant therapeutic attributes, but CBD-drug interactions may be problematic in some cases. At sufficient dosages, CBD will temporarily deactivate cytochrome P450 enzymes, thereby altering how we metabolize a wide range of compounds. With cannabidiol (CBD) poised to become widely available in pharmaceutical, nutraceutical, and herbal preparations, medical scientists are taking a closer look at CBD-drug interactions. CBD and other plant cannabinoids can potentially interact with many pharmaceuticals by inhibiting the activity of cytochrome P450, a family of liver enzymes. This key enzyme group metabolizes most of the drugs we consume, including more than 60 percent of marketed meds. At sufficient dosages, CBD will temporarily deactivate cytochrome P450 enzymes, thereby altering how we metabolize a wide range of compounds, including tetrahydrocannabinol (THC), which causes the high that cannabis is famous for. When THC or any other foreign compound enters the body, it is metabolized. This process is generally very complicated. Metabolizing something properly can involve multiple molecular pathways and various enzymes that enable the body to get rid of the compound (often done by adding something to the original compound). Or metabolism can entail breaking down a compound into a more basic molecule that the body then uses. Products of a drug’s metabolism are called its metabolites. These metabolites can have very different properties than the initial drug. Ethanol, for example, owes some of its effects, including much of the hangover, to its two-step metabolism. The buildup of acetaldehyde in the liver—while ethanol is converted first to acetaldehyde and then to acetic acid—is a major reason for ethanol’s liver toxicity and the nausea and vomiting caused by excessive consumption. THC metabolites contribute significantly to the effects of cannabis consumption. Eleven-hydroxy-THC (11-OH–THC), for example, is a THC metabolite that activates the CB1 cannabinoid receptor in the brain and induces a high more potently than THC itself. This means that the body’s metabolism of THC can make it more potent. 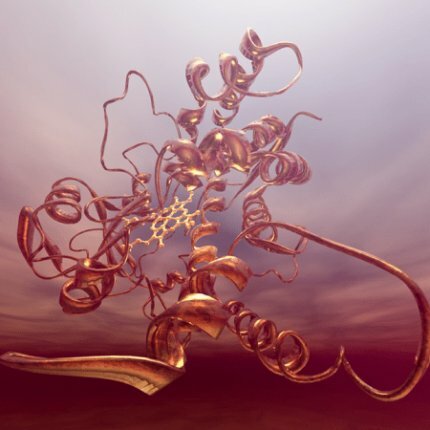 Cytochrome P450 enzymes contribute to the metabolism of drugs by oxidizing them, which generally means incorporating an oxygen atom into the drug’s molecular structure. Oxidation will usually make a compound more water soluble and therefore easier for the kidneys to filter out. Both steps in the metabolism of ethanol, mentioned above, and the conversion of THC into 11-OH–THC involve oxidation (though ethanol is not oxidized specifically by cytochrome P450). Different routes of cannabinoid administration have different effects. Inhaled THCenters capillaries in the lungs, passes into general circulation through the pulmonary arteries, and quickly crosses the blood-brain barrier. When ingested orally, however, THC is absorbed in the small intestine and then carried to the liver, where it is metabolized by subclasses of cytochrome P450 (abbreviated CYP), specifically the CYP2Cand CYP3A enzymes. These liver enzymes also metabolize CBD, converting it into 7-OH–CBD and 6-OH–CBD. But there has been relatively little research into the properties of these CBD metabolites. The way CBD interacts with cytochrome P450 is pivotal; in essence, they deactivate each other. Preclinical research shows that CBD is metabolized by cytochrome P450 enzymes while functioning as a “competitive inhibitor” of the same liver enzymes. By occupying the site of enzymatic activity, CBD displaces its chemical competitors and prevents cytochrome P450 from metabolizing other compounds. The extent to which cannabidiol behaves as a competitive inhibitor of cytochrome P450depends on how tightly CBD binds to the active site of the metabolic enzyme before and after oxidation. This can change greatly, depending on how—and how much—CBD is administered, the unique attributes of the individual taking this medication, and whether isolated CBD or a whole plant remedy is used. If the dosage of cannabidiol is low enough, it will have no noticeable effect on CYPactivity, but CBD may still exert other effects. There is no clearly established cut-off dose, below which CBD does not interact with other drugs. A 2013 report on a clinical trial using GW Pharmaceutical’s Sativex, a whole plant CBD-rich sublingual spray, found no interactions with CYP enzymes when approximately 40mg of CBD were administered. A subsequent clinical trial, however, found that 25mg of orally administered CBDsignificantly blocked the metabolism of an anti-epileptic drug. How do CBD-generated changes in cytochrome P450 activity impact the metabolic breakdown of THC? 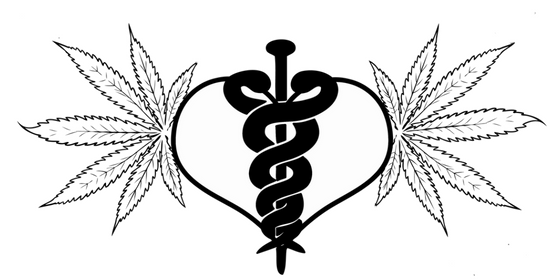 Animal studies indicate that CBD pretreatment increases brain levels of THC. That’s because CBD, functioning as a competitive inhibitor of cytochrome P450, slows down the conversion of THC into its more potent metabolite, 11-OH–THC. Consequently, THC remains active for a longer duration, but the peak of the extended buzz is blunted somewhat under the influence of cannabidiol. Other factors figure prominently in CBD’s ability to lessen or neutralize the THC high. Lester Bornheim, a research pharmacologist at the University of California in San Francisco, was among the first scientists to study the metabolism of CBD. In 1987, he was awarded a NIDA grant to investigate the effects of phytocannabinoids on cytochrome P450 enzymes. THC and cannabinol (CBN) also inhibit CYP activity, but CBD, of all the plant cannabinoids studied, is the strongest cytochrome P450 deactivator. “It’s a very unusual enzyme. Almost all other enzymes are designed to fit a single substrate and carry out a single chemical process resulting in a single product,” Bornheim noted, whereas numerous drugs are substrates for cytochrome P450, which seems to function like a generic breakdown mechanism for a wide range of exogenous and endogenous substances. In 1999, Bornheim addressed the annual gathering of the International Cannabinoid Research Society (ICRS) and drew attention to the possibility that CBD could interfere with the metabolism of many medications. A year earlier, a team of Canadian scientists identified certain compounds in grapefruit that inhibit the expression of some cytochrome P450 enzymes—which is why physicians often warn patients not to eat grapefruit before taking their meds. CBD, it turns out, is a more potent inhibitor of cytochrome P450 enzymes than the grapefruit compound Bergapten (the strongest of several grapefruit components that inhibit CYPs). What does this mean in practical terms for a medical marijuana patient on a CBD-rich treatment regimen who takes a prescription blood-thinner like warfarin, for example? CBD reduces the enzymatic degradation of warfarin, thereby increasing its duration of action and effect. A person taking a CBD-rich product should pay close attention to changes in blood levels of warfarin, and adjust dosage accordingly as instructed by their doctor. In cancer treatment, the precise dosing of chemotherapy is extremely important; doctors often struggle to find the maximum dose that will not be catastrophically toxic. Many chemotherapy agents are oxidized by CYPs before their inactivation or excretion. This means that for patients using CBD, the same dose of chemotherapy may produce higher blood concentrations. If CBD inhibits the cytochrome-mediated metabolism of the chemotherapy and dosage adjustments aren’t made, the chemotherapy agent could accumulate within the body to highly toxic levels. By and large, however, there have been few reported adverse cannabinoid-drug interactions among the many cancer patients who use cannabis to cope with the wrenching side effects of chemotherapy. It is possible that whole plant cannabis, with its rich compensatory synergies, interacts differently than the isolated CBD that is administered in most research settings. As well, the cytoprotective effects of the cannabinoids may mitigate some of the chemotherapeutic toxicity. Some epileptic patients have encountered issues with how CBD interacts with their anti-seizure medication. A small clinical study at Massachusetts General Hospital involving children with refractory epilepsy found that CBD elevated the plasma levels and increased the long-term blood concentrations of clobazam, an anticonvulsant, and norclobazam, an active metabolite of this medication. A majority of these children needed to have their dose of clobazam reduced due to side effects. Given that both clobazam and CBD are metabolized by cytochrome P450 enzymes, a drug-drug interaction is not surprising. Published in May 2015, the study concluded that “CBD is a safe and effective treatment of refractory epilepsy in patients receiving [clobazam].” But the report also emphasized the importance of monitoring blood levels for clobazam and norclobazam in patients using both CBD and clobazam. Dr. Bonni Goldstein has observed cases in which small doses of high-CBD/low-THCcannabis oil concentrate seemed to aggravate seizure disorders rather than quell them. How could this happen, given CBD’s renown anti-epileptic properties? A 1992 review by Lester Bornheim and his colleagues indicated that CBD inhibits some cytochrome P450 enzymes at smaller doses than what is required for CBD to exert an anti-epileptic effect. This means that a certain dose of CBD could alter the processing of an anti-epileptic drug taken by the patient, but this amount of CBD might not be enough to provide any anti-epileptic relief itself. The advice some physicians offer in this situation may seem counterintuitive: Increase the dose of CBD—perhaps even add a little more THC (or THCA, the raw, unheated, non-psychoactive version of THC)—and this may be more effective for seizure control. But why would preventing the breakdown of an anti-epileptic drug reduce its effect? There are a number of possible answers, depending on the drug in question. The active component of the drug (the chemical that exerts an anti-epileptic effect) may be a breakdown product of the actual drug taken. So, by slowing the metabolism of the original drug, CBD would make that drug less active. Other explanations are conceivable. For example, if the activity of certain CYPs is slowed, the drug may be broken down by another metabolic pathway, the products of which could then interfere with the drug’s activity. Or perhaps the inhibition of CYPs is not the predominant way that CBD interacts with certain anti-epileptic medications. To complicate matters even further, a presentation by Dr. Kazuhito Watanabe at the 2015 International Cannabinoid Research Society meeting in Nova Scotia disclosed preliminary evidence that cannabidiol may “induce”—meaning amplify the activity of—some cytochrome P450 enzymes. (Induction of a protein involves increasing the transcription of its corresponding mRNA, which leads to greater synthesis of the protein.) This suggests that CBD can either increase or decrease the breakdown of other drugs. Again, it depends on the drug in question and the dosages used. Any pharmaceutical, nutraceutical or green rush scheme to exploit the therapeutic potential of CBD must reckon with the fact that cannabidiol can both inactivate and enhance various cytochrome P450 enzymes in the liver—and this can potentially impact a wide range of medications. Drug interactions are especially important to consider when using life-saving or sense-saving drugs, drugs with narrow therapeutic windows, or medications with major adverse side effects. In particular, those who utilize high doses of CBD concentrates and isolates should keep this in mind when mixing remedies. Adrian Devitt-Lee is a senior at Tufts University, studying mathematics and chemistry. Sign up and have our newsletter sent to you each month.